Mary Broderick Ryan was raised in White Plains, New York along with siblings, Michael, Thomas and Irene. Her parents, Thomas C. and Beatrice Farrell Broderick, came to White Plains from Portumna, County Galway, Ireland. A graduate of Our Lady of Good Counsel Academy, Mary went on to earn her BS and MBA from Pace University, MS from Fordham University, and Senior Professional in Human Resources certification from SHRM and the HR Certification Institute. Mary still resides in White Plains with her husband of 33 years, Stephen. Together they have four children. David and his wife, Nicole, live in Long Island; Maureen resides in Los Angeles; Lindsay will soon be starting her masters degree at Southern Methodist University in Dallas; and Jack is a junior at Archbishop Stepinac High School. Mary spent her 26 year career with Verizon in their Labor Relations and International Human Resources departments. Today, Mary enjoys her second career as a Substitute Teacher in the White Plains City School District and coaches Irish dance ceili teams. She serves as Vice President of the O’Rourke Irish Dance Foundation, a nonprofit organization. Mary also volunteers with Meals on Wheels of White Plains and serves on the Lakenridge Club Committee. The Broderick Ryan family feels blessed to have had Lindsey in their lives while raising their children in Westminster Ridge alongside the Bonistall family. Lindsey's loving, joyful personality was infectious, and memories of her continue to fill their home with light and hope. 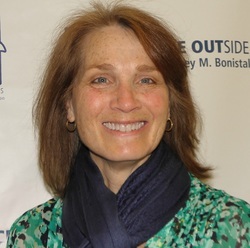 Since 2006, Mary has been very involved with PEACE OUTside Campus in every known capacity, including the 5K Lindsey Run/Walk, our Teens ‘N Transition and Identify the Risk programs, and as a Board Member.